Are you looking for a fun & frugal family activity for Valentine’s Day? Enjoy some time together while you search for things that remind you of “Love”! 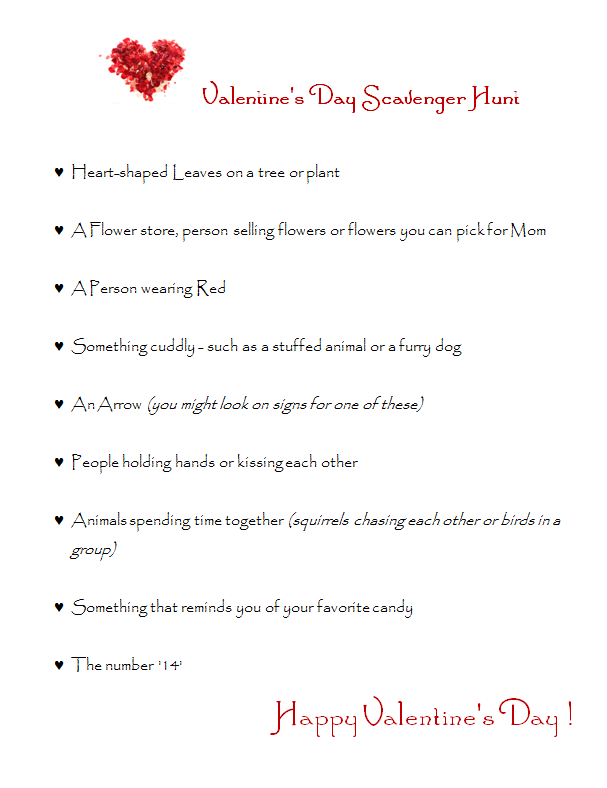 Jacquie at Edventures with Kids has a free Valentine Scavenger Hunt for you — just print it off & take it with you as you go ‘looking for love’. Check off the items as you walk around your neighborhood or take the list with you as you run errands with the kids. It’s also a fun way to start a great discussion about the symbols of the holiday and what love really means.